All claims under this section shall be payable in Indian currency. 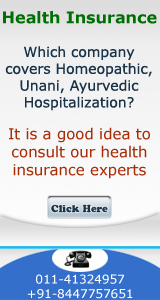 All medical treatments for the purpose of this insurance will have to be taken in India only. Sum insured under this section shall be progressively increased by 5 % in respect of each claim free year of insurance subject to maximum accumulation of 10 claim free years of insurance. In case of claim under the policy in respect of insured person who has earned the cumulative bonus, the increased percentage will be reduced by 10% of sum insured at the next renewal. However, basic sum insured will be maintained and will not be reduced. N.B. : 1) for existing policy holders (as on date of implementation) the accrued amount of benefit of cumulative bonus will be added to the sum insured, subject to maximum 10 claim free years. 2) Cumulative Bonus will be lost if policy is not renewed on the date of expiry. Waiver: In exceptional circumstances where policy is renewed within 7 days from expiry date, the renewal is permissible to be entitled for cumulative bonus although the policy is renewed only subject to Medical Examination and exclusion of diseases developed during the break period . However, insured has the option either to avail Cumulative Bonus or claim 5% discount in renewal premium will be allowed in respect of each claim free year of insurance subject to maximum of 10 claim free years of insurance. This discount will not be applicable to the S.I. increased if any by the insured at renewal. In addition to the cumulative Bonus, the insured shall be entitled for reimbursement of the cost of medical check up once at the end of block of every three underwriting years provided there are no claims reported during the block. The cost so reimbursable shall not exceed the amount equal to 2 % of the amount of average sum insured excluding cumulative bonus during block of three underwriting years. Both Health check-up and Cumulative bonus provisions are applicable only in respect of continuous insurance without break except however, where in exceptional circumstances, the break in period for a maximum of seven days is approved as a special case subject to medical examination and exclusion of disease during the break period. 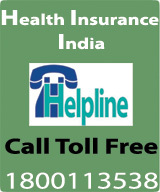 Health check up benefit will be accrued after completion of three years continuous claim free insurance. Insured has to bear 10% of all the admissible claims(Compulsory Excess). However, 20% co-payment will be considered if the insured opt for the same. In such cases 10% additional discount in premium will be allowed. Insured has to bear additional 10% of all admissible claims if the claim arises out of pre-existing diseases for which the insured opted cover and paid additional premium. This provision is in addition to the compulsory excess stated herein above and applicable only for claims arising out of Pre-existing Diseases. Services of TPA will be available under this policy. 10.1For fresh entrants to National Insurance above premium will be loaded by 10%. 10.2 Under Mediclaim Section(Section I), if the insured intends to cover pre-existing diseases of Hypertension and/or Diabetes from the inception of the policy he/she has to pay additional premium @10% for either hypertension or diabetes & 20% for hypertension & diabetes for first year of the policy. However, if a fresh entrant suffers from blood pressure/hypertension and/or diabetes and opts for Critical Illness cover, the same may be covered at additional premium @10% for either hypertension or diabetes & 20% for hypertension & diabetes provided no organ of the proposer is affected in consequence of blood pressure and/ or diabetes. If the medical report indicates occurrence of any such consequential complication, those proposals will be declined. Loading for preexisting Diabetes and/or Hypertension to be applied on Total Premium for first year and on Critical Illness Premium only from 2nd year onwards.